Fundamental Movement Skill Programs have been proven to assist children’s academic success, physical coordination, spacial and social awareness and self esteem, whilst providing structured physical activity! 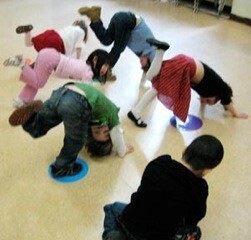 Our FUN Balls Body & Brains programs focus on learning the basic skills with Maximum Participation. It’s all about Learning to Move & Moving to Learn.